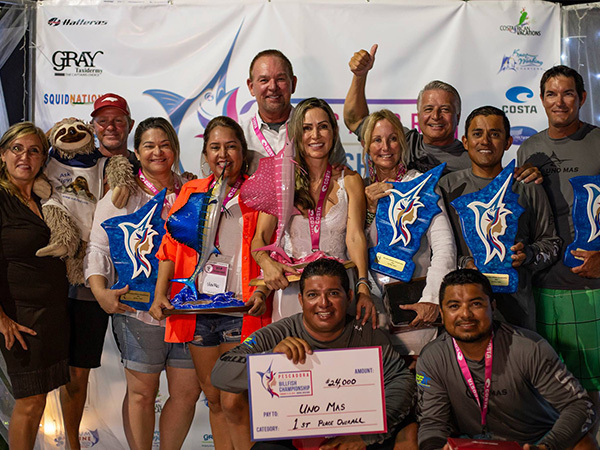 Costa Rica’s billfish tournament scene made history this year with the first-ever Pescadora Billfish Championship, an event for female anglers with scales never seen before in the area! It was a year ago on April 2018 that Samantha Mumford from Premium Marine dreamed up this idea! I remember it like it was yesterday. We were fishing the 2018 Offshore World Championship (OWC), representing Costa Rica. Then Samantha asked what we thought about an all-women’s billfish tournament. Brilliant, we said. Fast forward to February 21st, 2019, and this idea was now a reality. 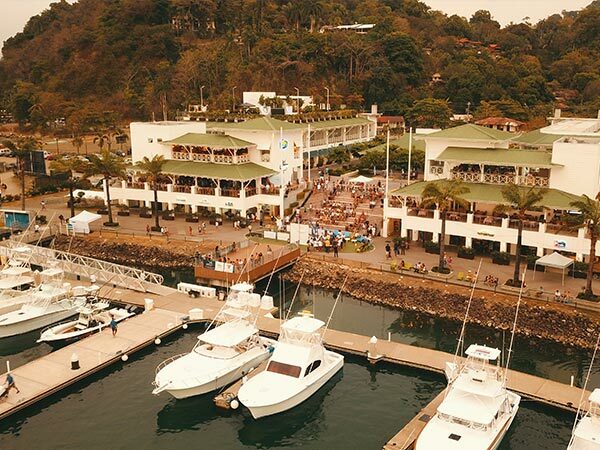 The beautiful Marina Pez Vela in Quepos was about to become the epicenter of one of the best sportfishing events ever dreamed up. The anticipation had grown and 22 boats with 81 anglers representing 7 different countries had just registered. This was unheard of – especially considering this was the first year and the first event of its kind in Central America. I had the privilege of riding along with my wife Lucia Arce Valerio aboard Double Nickel, captained by Nick Froelich. Her team was known as the “Blazing Betties,” and it was comprised of 3 additional anglers: Nicky Branciforte, Brandi Froelich, and Jen Copeland. What an awesome experience to watch the world’s best lady anglers compete for the title of Pescadora Billfish Champion! The day started with mimosas and gifts for the anglers. Then the boats started leaving the dock around 6:00 a.m. Fishing had been slow in the days up to the tournament, but what happened next was nothing anyone would have imagined. At 4:00 p.m. lines were out, and the unofficial results were 241 Sailfish and 2 Blue Marlin released. That is an average of 11 billfish per boat. Records were already set for catch numbers for a women’s tournament, so what could day 2 possibly bring. Everyone was pumped up after day one, mimosas in hand. The action did not disappoint. It was even more incredible and made for some very tight finishes for the final days of fishing. Total tally for the day was 273 Sailfish and 3 Marlin caught. This included a grand slam by Caribsea with a Blue and Black and 8 sails in their final day fishing. This is pretty incredible fishing when you consider that in two days, 22 teams released a total of 514 Sailfish, 4 Blue Marlin, 1 Black Marlin, 5 Dorado, and 4 Tuna. That is an average of 23.5 billfish per team for two days fishing. 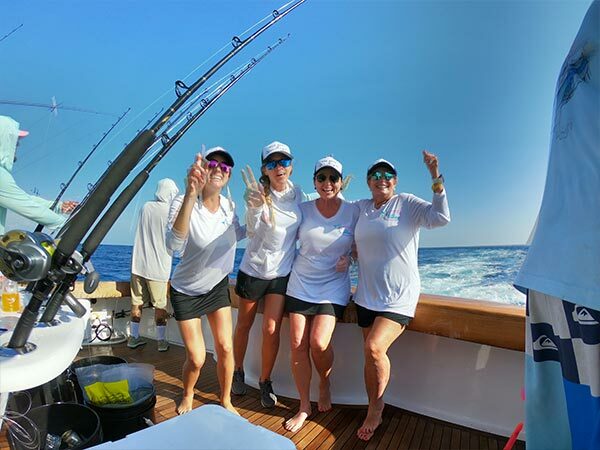 The top honors went to Team “Uno Mas” with 49 sailfish released, second for Team “Big Oh” with 44 Sailfish released and 3rd to Team “Game Plan” with 40 Sailfish released. This tournament also set the record for most billfish ever tagged in a single billfishing event anywhere in the world. 197 billfish were tagged with Gray Fishtag Research tags, which is simply unheard of. In the end, this was one amazing event that brought together lady anglers from all parts of the globe to Marina Pez Vela in Quepos, Costa Rica. The experiences and memories created will last a lifetime and I think next year’s event will be even bigger and better than this year. If you want to attend this event next year, contact us and we’ll gladly help!